Physically speaking, flower essences are the energetic imprint of flowers captured in pure spring water at the height of their bloom. Once collected from the wilds, the flowers are either infused, by floating them in water underneath the sun’s rays, or lightly boiled. In this way, the water becomes the carrier of that particular flower’s energy. The infusion is then preserved with grape brandy and diluted into stock bottles to be taken as drops in a glass of water or directly onto the skin. Flower essences are predicated on the belief that we, as individuals, exist on many levels. We have spiritual selves, as well as physical identities, and communication between all our layers of being is vital to maintaining a happy, healthy, and above all, fulfilled life. Native American Shamans were experts at traveling between these different levels, communicating and healing illness at the source. Within this framework it’s easy to see how our own intuition or sparks of desire are actually bits of guidance from our higher selves. These out-of-nowhere motivations are meant to direct us further along our life path or destiny. If you have ever had a crucial hunch that proved inexplicably correct, you will know the precious importance of trusting your inner knowledge. For one reason or another, however, we often block our own intuition. By ignoring what we might consider the dictates of our own souls, we create unhappiness, discordance, and imbalance within ourselves. Flower essences help to transform the negative thought patterns that hinder communication with our higher selves. 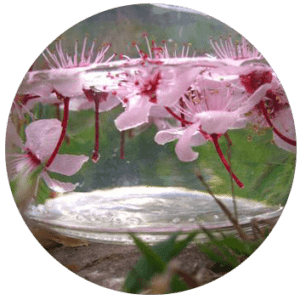 By transforming these mental and emotional ruts, flower essences help to cleanse the “psycho-toxins” of negativity out of our spiritual metabolism, reestablishing our resonance with our inner voice. Illness or disease is the cumulative result of ignoring energetic and emotional imbalances. This idea is nothing new; science has known for decades that negative feelings and stress can weaken our body’s systems. In the flower essence worldview, illness is actually a sacred signal, our soul’s way of telling us that we are in a state of disharmony, out of alignment with our life purpose or greater truth. In this way, illness can actually be seen as a gift, a condition to be worked with and learned from in order to prevent even further error or harm. Flower essences are incredibly individual and their effects will be different for each person. Each essence is indicated for a specific personality type and their corresponding negative patterns. For example, those who feel disconnected from reality, floaty, flighty or ungrounded will be able to re-root into their everyday existence by taking Clematis. Flower essences work in a very subtle manner, so their effects might take some time— although those who are very sensitive can sometimes feel a more immediate shift. In my experience, using this medicine is a very lovely, comforting, and incredibly gentle experience. Over time, taking the right combination of essences, you will undoubtedly notice a marked difference in your mood, energy, and overall health. 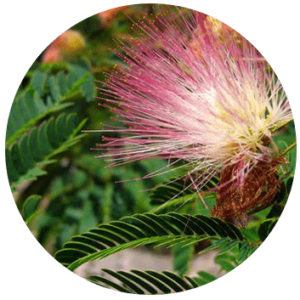 Flower essences can also bring about profound inner transformation. Much like experiencing a beautiful sunset, flower essences harmonize our spirits on a deep and often imperceptible level. For this reason a “feeling sense” is important to finding the right essence. If one essence in particular seems really appealing to you, then you probably should be taking it. 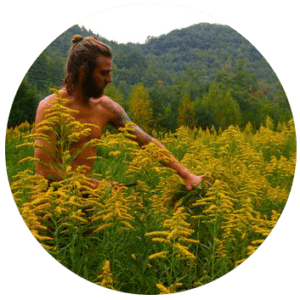 Lastly, one of the most important concepts behind flower essences is the old adage “Heal thyself.” Everything you need to be healthy and whole already exists within and is available at this very moment. Like most flower essences found in stores, each one of our essences is offered as a stock bottle. You can choose to simply take the stock bottle essence in a drop dosage of 2-4 drops up to 4x day, or you can further dilute the essence into a dosage bottle. HOW TO MAKE A DOSAGE BOTTLE? To make a dosage bottle you simply add 1-7 drops of your stock bottle to a separate bottle, and then fill that separate dosage bottle with a mixture of 50% alcohol (to preserve) and 50% water. WHY MAKE A DOSAGE BOTTLE? Making a dosage bottles from your stock bottle will prolong the life of your essences. Each stock bottle contains 450 drops… that’s the possibility of 450 dosage bottles! You also have further flexibility with creating combination blends of different essences. Dosage bottles are inherently more dilute than stock bottles. Many people believe that flower essences are more effective the further they have been diluted. In my experience, both stock and dosage bottles work incredibly well. I often take stock bottle essences when the issue I’m working on is manifesting on a physical level, including: acute anxiety, illness and pain. I tend to work with dosage bottles for long-termemotional states and chronic issues. There is no wrong choice. Just simply let your intuition guide you, and enjoy working with the flowers!